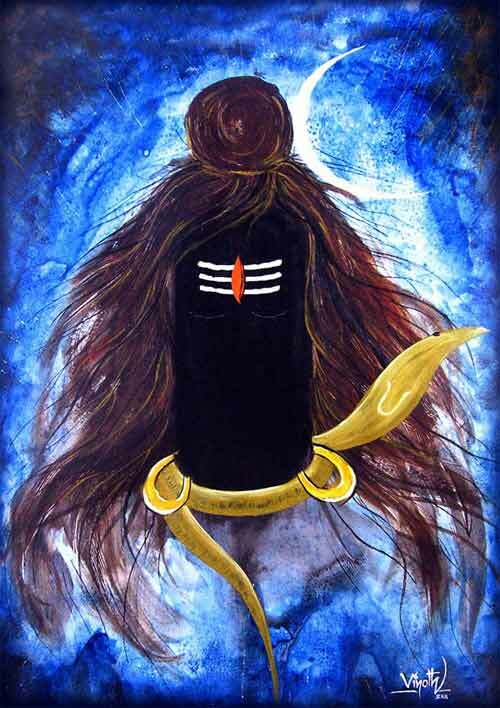 Bheema Ammavasi or Bheemana Amavasya Vrata is dedicated to Lord Shiva and Parvati and is observed by women in Karnataka. It takes place on the Amavasi or non moon day in the month of Ashada. Also referred as Jyoti Bheemeshwara Vratam, the ritual is observed for the well being of the male members in the family. How to observe Bheemana Amavasya Vrata? A pair of mud kalikamba lamps representing Shiva and Parvati or picture of Shiva and Parvati or Silver lamps. Dough balls or Kadubus with coins hidden in them (Bhandara). All things needed for the Puja are arranged. There are no strict rules you can always substitute things. House is cleaned and decorated, especially the Puja area. Fried things are not prepared on the day. A half-dozen or a couple of coin-stuffed kadubu is placed on a platter and male members in the family are invited. Small kids are asked to smash the kadubu. The kids keep the coin and take the blessings. Elder male members bless the females in the house. Betel leaves, sweets, fruits are distributed among female friends and relatives. The mud kalikamba lamps are placed under the tulsi plant or dissolved in water and the water is poured under a plant in the garden.